He is limited to 1.500 pieces. 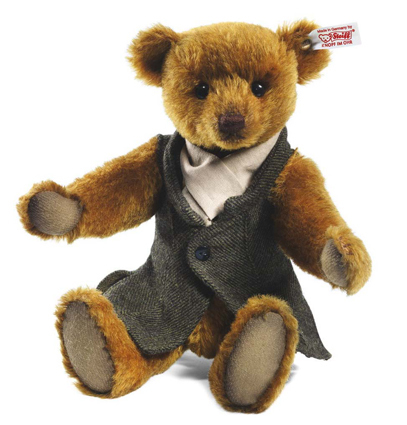 This Steiff Forrest Teddy Bear is made in Germany in 2012. Made out of curry colored mohair. He is limited to 1.500 pieces world wide. 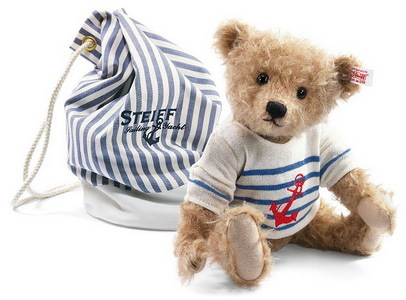 This Steiff Chantilly teddy bear is made in Germany in 2012. She is 27 cm. / 10.8" tall. Made out of high quality cotton Chantilly lace. She is limited to 1.500 pieces world wide.